Cable management specialist Marshall-Tufflex is supporting the inaugural Electrical Design and Installation expo (ED&I) at the NEC, Birmingham, with a host of product launches, a special edition 75th Anniversary catalogue, and the chance to play against world-class British darts player Mark Dudbridge and win a Virgin Experience Day. Sign up for free to the UK’s only national electrical trade show at the official website here. 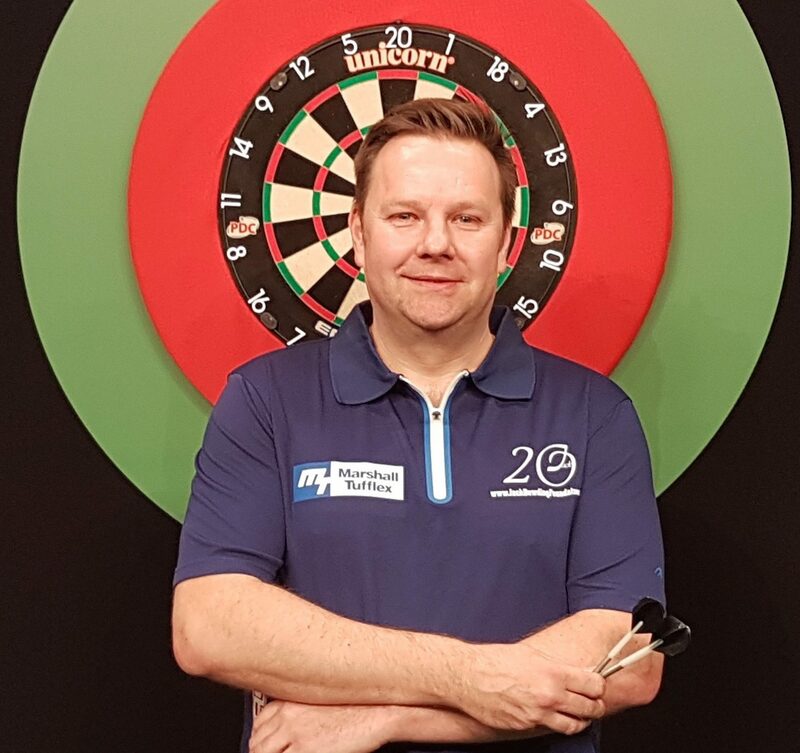 East Sussex based Marshall-Tufflex hit the bullseye with the announcement that it is sponsoring Mark, as UK sales director Jon Chamberlain explains: “Mark has been a firm fixture on the UK and World darts stage for many years and we are delighted to be sponsoring him. He has played alongside darting greats such as Phil Taylor and Eric Bristow and beaten some of the world’s best players, including John Part, Peter Manley and Ronnie Baxter. Mark will be appearing on Marshall-Tufflex Stand 74 on the both days of ED&I (September 6-7). Visitors to the stand will also be able to see a full range of the manufacturer’s PVC-U, steel and aluminium trunking solutions together with its new underfloor-to-desk range and Wire Basket including Cablelay. Keep an eye out for more news on what the company will be offering at the show. Win Big At ED&I With Quickwire!